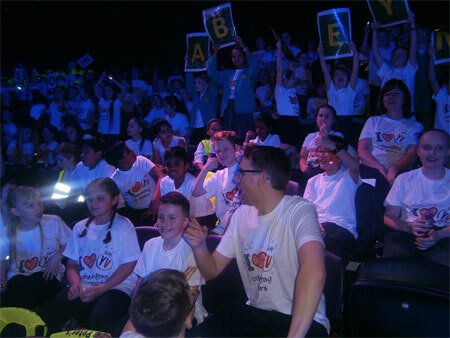 On Monday 11th January, the Year 5 and 6 Singers went to the Genting Arena to perform with 6000 other children, making them one of the largest choirs to perform this year. It was a fantastic event. Everyone had lots of fun singing and dancing to the songs we had spent months learning. 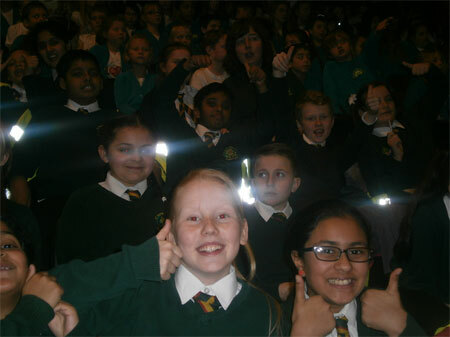 Many other schools locally to us were there too and we enjoyed seeing and talking to them. This was a particularly special concert, as we also sang a tribute to David Bowie, who we found out died earlier that morning. He was such an iconic figure that it felt right to learn one of his songs to remember him by. Returning to school at 11:00pm was rather tiring but worth it for the experience had by all.